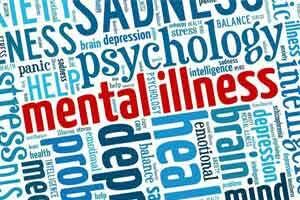 LONDON: Internet based cognitive behavioural therapy (CBT) – a talk therapy – may prove to be effective with individuals affected by a mental disorder, a new study has found. Body dysmorphic disorder (BDD) causes a person to have a distorted view of how they look and to spend a lot of time worrying about their appearance. If left untreated, it can lead to hospitalisation, substance dependence and suicide. The CBT programme is significantly helpful and improves BDD’s symptom severity, depression, and the quality of life, the study said. The CBT therapy, which helps people manage their problems by changing the way one thinks and behaves, could be particularly useful in a stepped care approach, the findings showed. The CBT programme “has the potential to increase access to evidence based psychiatric care for this mental disorder”, said the researchers from the Karolinska University Hospital in Stockholm, Sweden. Mild to moderately affected patients can be offered CBT programme by their general practitioner, or other health professionals, thus freeing resources for more severe and complex patients to be treated in specialised settings, the researchers noted in the study published in the journal BMJ. The researchers evaluated the effectiveness of a therapist guided internet based CBT programme for body dysmorphic disorder compared with online supportive therapy. The study involved 94 adult patients with a diagnosis of body dysmorphic disorder who randomly received either CBT programme or supportive therapy for 12 weeks. None of the participants had any face-to-face contact with a therapist during treatment and both groups were followed for 3 months after the end of treatment. Patients who underwent CBT programme showed significant improvements in their severity of symptoms, depression level, and the quality of life compared with those who had supportive therapy. These gains were maintained for at least three months after the end of treatment. Participants in the supportive therapy group who crossed over to CBT programme after six months also improved their symptom scores.